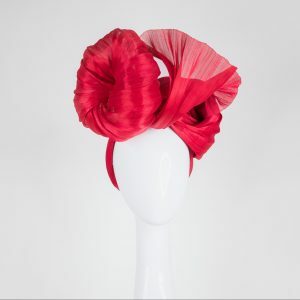 This is the style that won me the Blue Diamond Stakes Day FOTF title last year. 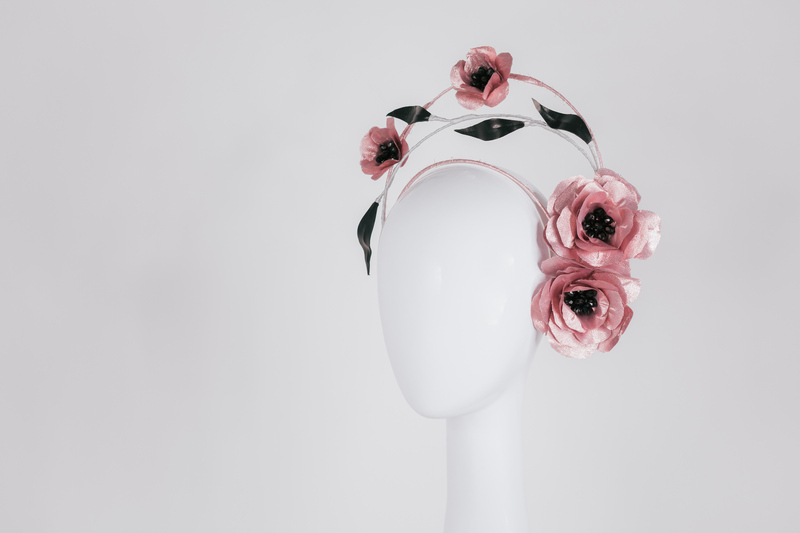 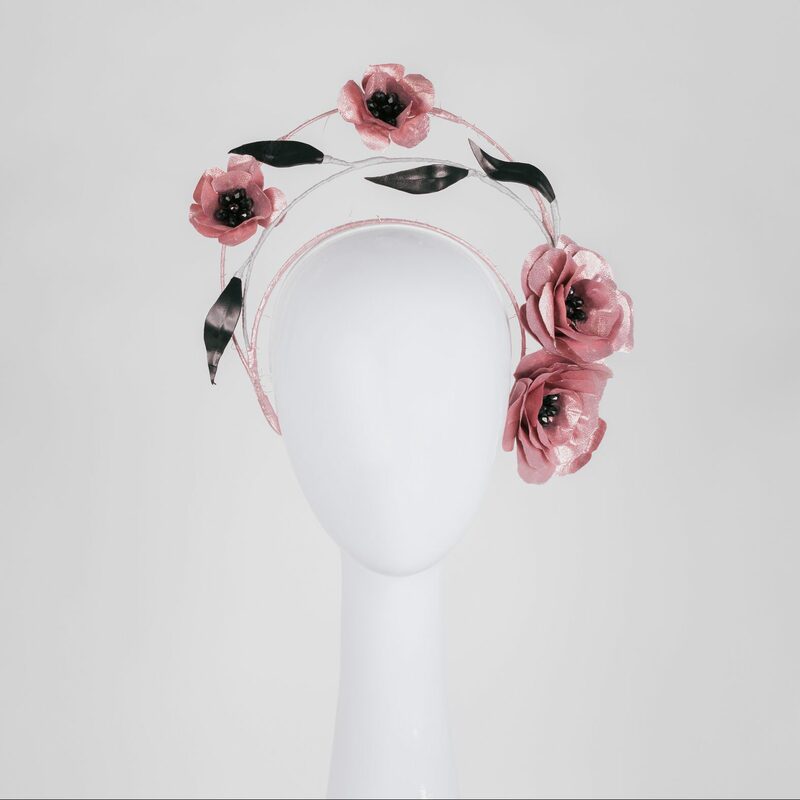 The metallic pink handmade flowers are so feminine, with patent leather leaves which have a wind-swept effect. 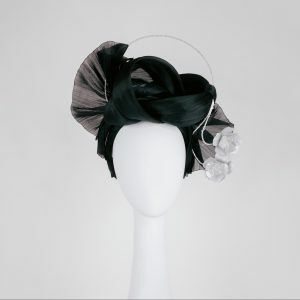 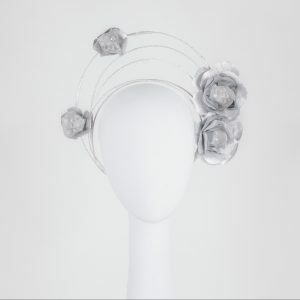 Headbands are a very popular choice for racing fashionistas because of their ease of wear.